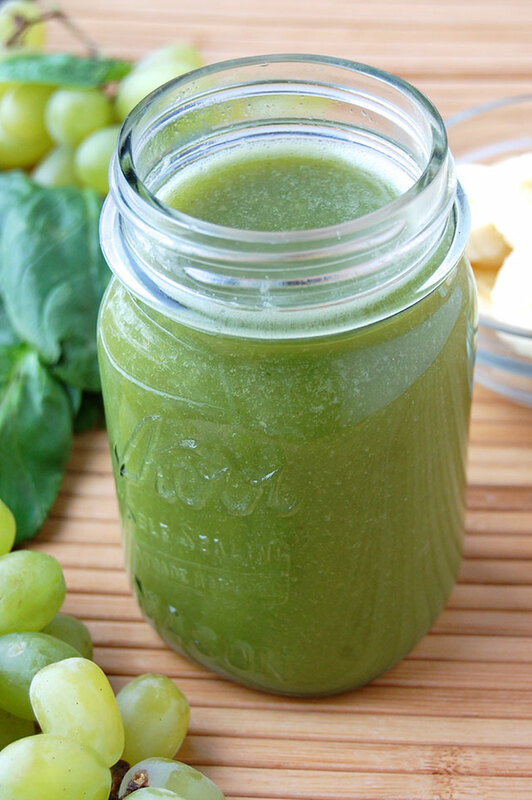 If you want to amp up your usual morning cup of tea, turn it into this light and refreshing green tea smoothie. It’s also a great solution for the middle of summer when a cup of hot liquid does not exactly sound ideal. 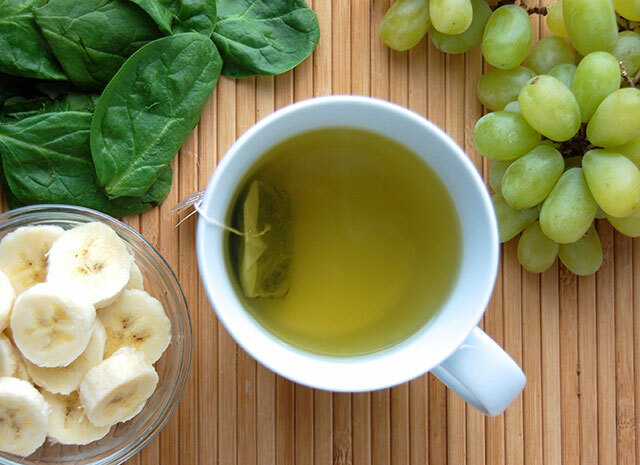 All of the benefits of green tea in a cool, velvety smoothie. This green smoothie is a bit unique because there is actually a step before throwing everything together in the blender. First you have to brew a cup of tea. 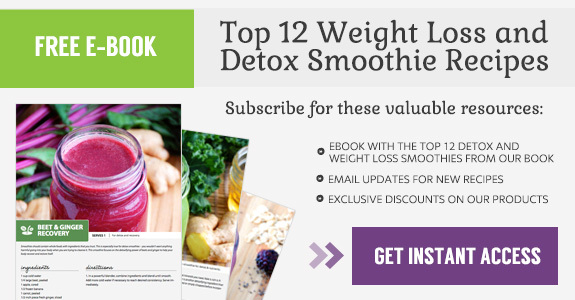 Using green tea as the base of a smoothie actually does not impact the flavor very much. Unless you brew an exceptionally strong cup of tea, the taste infuses with the other ingredients. You do, however, still retain all of the healthy properties of green tea. Green tea has quite a long list of benefits. It is one of the best sources of antioxidants and helps to fight certain cancers. It takes care of your heart and cardiovascular system, while also aiding in weight loss, boosting your immune system, and helping to lower blood pressure. Basically, why wouldn’t you include it in a smoothie? Sometimes with green smoothies there is a lot of foam after you blend the ingredients. This is usually due to a high amount of insoluble fiber that can come from apple skins or leafy greens. To get rid of the foam is easy – one solution is to keep running the blender on a low speed for 15 seconds after you are done pureeing. Or you can use frozen fruits and greens, which do not cause the foam. This smoothie is just the thing to help brighten your day and help out your body at the same time. The smoothie can even be made ahead of time (or the night before) in a large batch and stored in the refrigerator in a sealed container for up to three days. 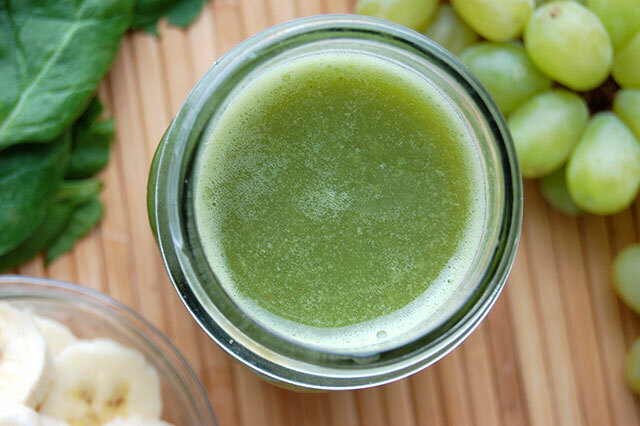 Start your morning on the right foot with this energizing green tea smoothie.